Desk Dividers help define space, give privacy or help absorb office noises. Desktop screens come in standard sizes and finishes or they can be made to your specification. 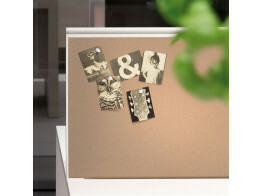 Customising your desk dividers allow you to specify the size, height and finish you want them to be. You can have standard fabric desk screens or acrylic desktop dividers, pinnable screens, acoustic sound absorbing desk screens and even integrate management rails on the desk dividers to hold accessories and monitor arms. Choosing the right desktop divider can make a huge difference to your workstation. Our range of desk screens can be attached to any desk. With a wide range of clamps and fixings on file we will find the right solution to accommodate your desk. 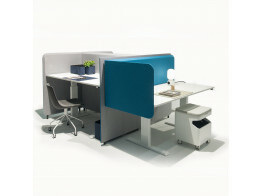 Process E_Station Desk Screen combines technology station, accessory panel, partitions and flexible workplace. BuzziDesk Split is a sliding acoustic desk divder to help define desktop space and absorb sounds. Aluscreen in an acoustic desk divider for use in open plan office environments, offering visual and acoustic privacy. 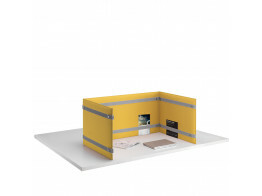 Pli Desk Devider is a highly effective acoustic solution offring flexible desk level privacy panels. 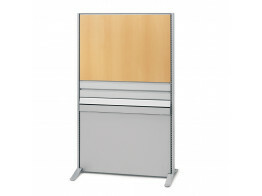 Easy Screen is a simple office desk divider, available in two different heights and wide range of fabrics and colours. 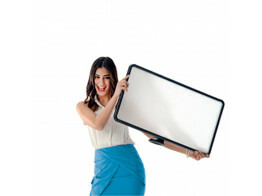 Domo Desk Screen is an innovative magnetic sound absorbing privacy desk screen solution. Keko Office Desk Screen Divider can also be used as a modesty panel, with suction cups for reconfiguration. Cap Privacy Desk Units provide acoustic sound protection on table tops or as standalone workbays.